Grant. rex. 2dogs.murray.ricko.kimpo and paulo.the usaul mob. Rocket Rex Staten and Mike "Too Tall" Bell. My first introduction to Supercross at the Brisbane Ekka. anyone know where Murray "Honest Muz" Watt is these days?? 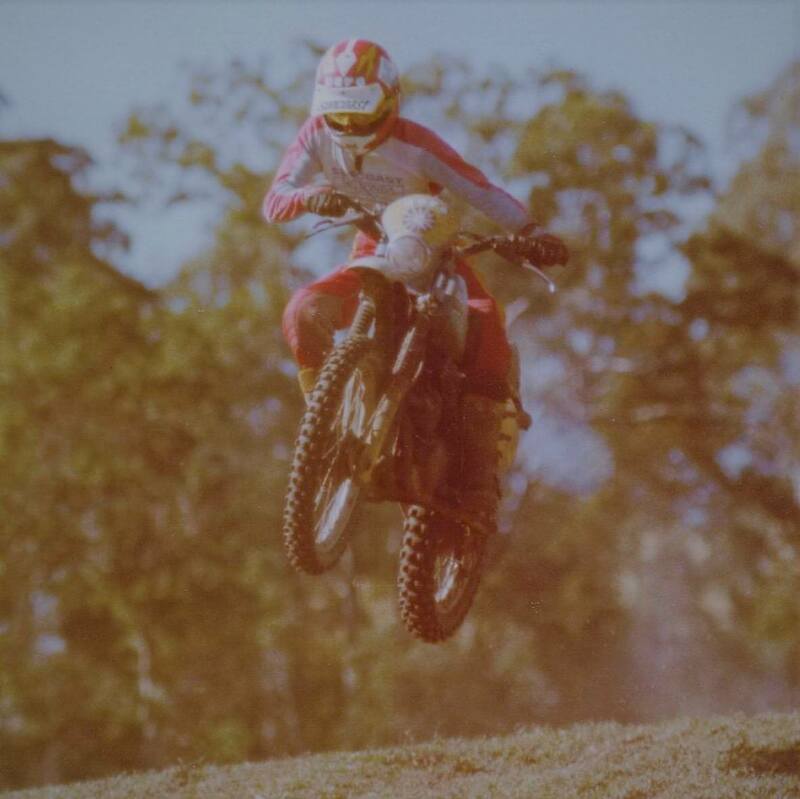 If you are refering to the first Supercross in Australia in 79, it was at Archerfield Speedway and promoted by Blair Sheppard. SCMCC will be raffling a 1983 XR200 at the Magoo Bar on Saturday night. Each rider entry will receive one ticket; extra tickets will be available to buy online and at the control building for $5.00. The draw will take place at the bar and you have to be THERE. If the person drawn has not claimed it in 3-5mins it WILL be REDRAWN!! The frame has been powder coated by Sunshine Powder Coatings at Kunda Park and XR guru Peter Baguley from PerformanceThumpers Nambour has the motor to make sure all’s good and replace anything that’s not. More info on the build to come. If you would like to help with the build please message us. This bike will be ready to ride. So make sure you are at the Magoo Bar to have a chance of winning it. photos to come. BTW would anyone have a decent front guard for one of these? have to fast fwd the moto villa resto!! Can we just enter on the Friday morning rather than going through the Ridernet ...... ?